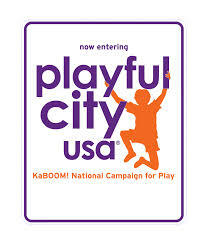 Lebanon was honored with a 2015 Playful City USA designation for the first time. The national program honors cities and towns across the country for making their cities more playable. Communities chosen as a Playful City USA demonstrate significant collaboration among nonprofit partners, foundations, and municipal agencies, the business community, and local civic groups. A public hearing for allowing ATV’s on portions of Claremont’s rail trail is scheduled for June 23. The 1.84-mile segment of the City-owned multi-use Rail Trail has been under contention with the state and federal agencies, which caused the city to close the rail trail to ATV’s in April of 2014. The public hearing is part of a waiver Claremont is seeking to allow the ATV’s back on the trail. The public hearing is Tuesday, June 23, 2015 from 6:30-9:00 pm at the Sugar River Valley Regional Technical Center, 111South Street, Claremont NH. The Upper Valley Lake Sunapee Regional Planning Commission (UVLSRPC) is facilitating the hearing. Provisions for anyone with special needs or limited proficiency in English can be made by contacting the City Manager’s Office via telephone (603)542-7002 or mail, at least five days prior to the public hearing. Anyone wishing to submit written comments may do so by contacting the City Manager, City of Claremont, City Hall, 58 Opera House Square, Claremont NH 03743, until July 10, 2015. Vermont’s Assistant Attorney General, Todd Daloz is testifying today on a federal bill (H.R. 1599) that would end states rights to label GMO foods. Daloz, worked on drafting the regulations implementing Vermont’s own GMO labeling law Act 120. The assistant attorney general will testify on behalf of Vermont before a subcommittee of the U.S. House of Representatives’ Committee on Energy and Commerce. Witnesses representing biotechnology and food manufacturers on the proposed federal ban on state-level GMO food labeling will also be testifying. The proposed bill (H.R.1599) is ironically labeled the Safe and Accurate Food Labeling Act of 2015. Representative Mike Pompeo (R) of Kansas introduced the bill in March. The VT Attorney General’s Office will be streaming the hearing starting at 10:00 am. Springfield police officers went to a fight/disturbance in the parking lot of the Springfield Town Hall last Saturday night. Once there officers encountered a number of people on the third floor porch of an adjacent building who appeared to be fighting. Because of the number of people, involved additional units were requested. In addition to the four Springfield Officers, a Weathersfield Officer, two State Troopers and two Chester Officers were called to quiet the disturbance. Police found cause to allege that Martin Gonyea 28, of Bellows Falls had pushed a female down a flight of stairs, resisted arrest, was disorderly, trespassed on the premises of the apartment building and was in violation of several sets of conditions of release imposed upon him regarding pending criminal charges. Gonyea was lodged at Southern State Correctional Facility-Springfield in lieu of $2500 cash bail before and after his arraignment on Monday. A West Lebanon woman was charged with felony embezzlement and three counts of false pretenses on Tuesday in Vermont Superior Court. Kay Wright the former chief of the VA Canteen in White River Junction is accused of taking money from the safe, petty cash, cash register and bill changer for her personal use. She is also accused of falsifying petty cash records. Ms. Wright pleaded not guilty today at her arraignment in Vermont Superior Court, Windsor Criminal Division. If convicted she faces a penalty of up to thirteen years in prison and a fine of up to $3,500.00. The Vermont Attorney General’s Office is prosecuting the case. Goshen Hosts Educational Meeting on One Pot Meth Labs. About 20 people attended the educational presentation on one-pot methamphetamine labs Tuesday night at the Goshen Town Hall. Newport police officer Joshua Boone gave the power point presentation. The biggest danger is it is fast and portable. So portable that it is common to find people using this method to make meth in their car, and then toss the bottles out the window. Boone said they are usually 1or 2-liter size plastic bottles and some have plastic hoses attached to the cap. Boone said the gases released could cause multiple health problems such as nausea, trouble breathing, and blindness in addition to the possible explosion of the bottle. The process uses every day household items salt, cold packs, engine starter, Coleman fuel, drain cleaner, and lithium batteries but when mixed together become deadly. Boone said any strong chemical smell should be reported to the police. Goshen Police Chief Ed Andersen says he hopes those in attendance will share what they learned.Andersen also cautions people not to pick up discarded bottles that are discolored, and or have liquid in them. In the past year, portable meth labs were found in Hartford Vt., Claremont and Goshen.